Toronto-based startup ShopLocket, an e-commerce platform originally designed to let anyone sell anything from a single item to a line of goods quickly and easily via their existing presence on the web, has been acquired by an unusual suitor: PCH International, the company founded by Irish entrepreneur Liam Casey that has made its name operating as the go-between for major electronics brands and their Asian supply partners and manufacturers. The match seems odd at first, but makes sense in light of recent developments at both companies: ShopLocket, run by TC Hardware Battlefield judge Katherine Hague, recently launched its own pre-order sales platform to help hardware startups capitalize on the inertia generated by crowdfunding campaigns, before they reach the stage where they’re able to sell shipping product. There’s a lot of interest coming out of successful Kickstarter campaigns, after all, but often nowhere for that interest to go as startups rarely have the means in place to continue collecting orders after their crowdfunding drive has ended. 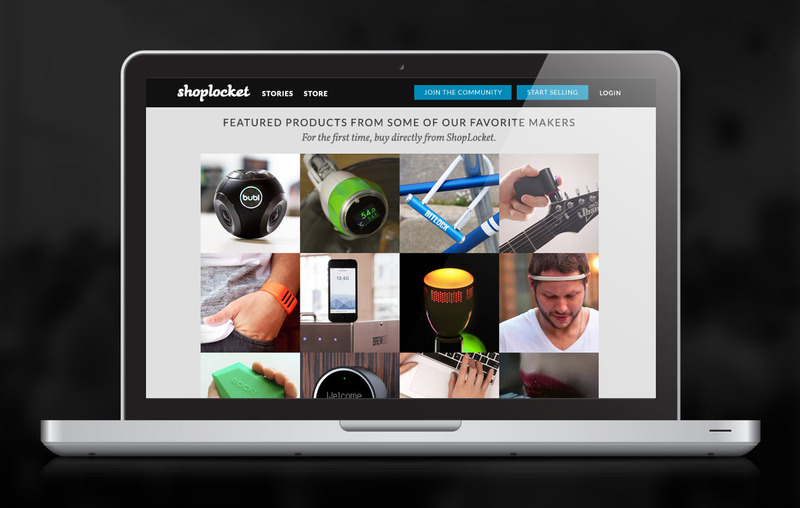 Perhaps more importantly, ShopLocket also provides a full-fledged alternative to a Kickstarter or Indiegogo-hosted crowdfunding campaign if a startup was interested in going it alone. Casey said the company “closes the loop” that begins at his hardware accelerator, Highway1, giving startups a complete solution for creation, development and sales of their products. Companies are often interested in building their own hardware Kickstarter projects, Casey told us, but they lack the ability to continuously provide accurate and authentic updates about where products are at in the development cycle, and that’s a huge challenge for these startups. PCH and ShopLocket can use their combined expertise to help on that front, which will hopefully result in stronger, more satisfying crowdfunding experiences for the people actually buying the products. PCH International has recently shone a spotlight on its interest in hardware startups in other ways, too. The company is showing off the first cohort of its new early-stage hardware startup accelerator called Highway1 at a demo day next week in San Francisco. Highway1 offers classes of around 10 startups $20,000 in seed capital as well as engineering and design advice in exchange for between 3 and 6 percent of equity, as well as the relationships PCH has made with key suppliers in China. It also provides support for later stage companies through its existing PCH Accelerator program. Casey outlined some outcomes tied to those efforts made possible by the ShopLocket acquisition, like the ability to create exclusive products for people and the chance to provide membership-based early access to particular products created by its startup partners. Since it already has factories “queuing up” to get a chance to work with it, PCH has big advantages on the supply side for those looking to crowdfund hardware projects, too. The ShopLocket addition to the team provides yet another advantage PCH can offer its new target market of emerging hardware companies, and might be a considerable value incentive for those startups evaluating the worth of its accelerator help. So while it’s still an acquisition that on the surface seems a little out of left field, there remains a clear logic to what amounts to a shrewd strategic pick-up. PCH has mostly been an under-the-radar friend to tech hardware companies in the past, but it could be on the brink of stepping into the spotlight as a major contributor the gadget startup movement that’s been growing for the past couple of years now.